What happens when a default is entered against me in a Florida case? If you are involved in a lawsuit, one of the things that you do not want to occur is to be defaulted out as a party in the case. When a party is defaulted by the clerk or the court, that party cannot defend itself in the case until the default is set aside by the court. This means that unless the default is set aside, a judgment will likely be entered against the party that had a default entered against it. This is the major reason why you should immediately consult with an attorney when you are served with a complaint. How is a default entered against a party in Florida? A default can occur in two different ways. First, according to Florida Rule of Civil Procedure 1.500(a), a default can be entered by the clerk against a party “When a party against whom affirmative relief is sought has failed to file or serve any paper in the action, the party seeking relief may have the clerk enter a default against the party failing to serve or file such paper.” This means that if a party, typically a defendant, fails to file any pleading or other document in the lawsuit, the party seeking relief, typically the plaintiff, can request that the clerk enter a default against the other party. The clerk will then inspect the docket of the court case, and if the clerk finds that there has never been a filing entered in the case by the party to be defaulted, then the clerk typically will enter a default against that party. The second way that a default may be entered against a party is also included in Florida Rule of Civil Procedure 1.500(b), which states, “When a party against whom affirmative relief is sought has failed to plead or otherwise defend as provided by these rules or any applicable statute or any order of court, the court may enter a default against such party; provided that if such party has filed or served any paper in the action, that party shall be served with notice of the application for default.” In this instance, the default is entered by order of the court, not by a docket entry by the clerk. Typically defaults by the court are entered if a defendant files some sort of document in the case, but that document does not amount to a defense under the rules or Florida law. Another way that default may be entered by the court is when there is some particular situation in the case that prevents the clerk from entering the default automatically. This can happen when the defendant has not been properly served or has been served by substitute service. There are also other, less common, situations when a default can be requested by a plaintiff and entered against a defendant by the court. An attorney will be able to tell you if any of these situations are relevant in your case. In these instances, the court will most likely want to have a motion for default by the plaintiff’s attorney filed, in order to ensure that everything is in order procedurally before a default is entered by the court. What happens to the defaulted party? So, now that we know how the opposing party is able to enter a default, what happens to you as the defendant? Is there any way for you to defend the case? The effect of the entry of a default either by the clerk or by the court is that the defaulted party can no longer participate in the case, other than by filing a motion to set aside the default, which I will cover in another blog post. Until there is an order by the court that sets aside the entry of a default against a party, that party is treated like a third party to the lawsuit. No defenses, crossclaims, or counterclaims can be raised by the defaulted party. A default will only admit well plead facts in the complaint. Therefore, if the plaintiff fails to state a cause of action in the complaint and a default judgment is entered by the court against the defaulted defendant, the defaulted defendant may be able to set aside the judgment. 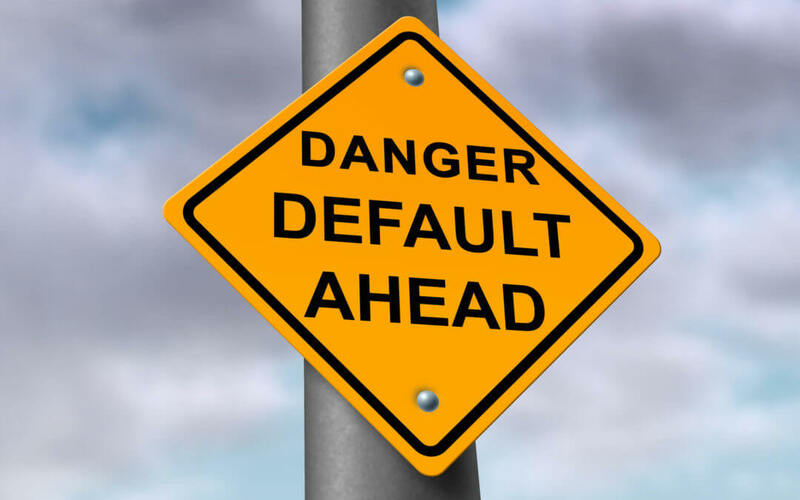 The most important effect of a default is that the plaintiff can proceed to judgment against the defaulted party immediately after the default is entered by the clerk or court. If the damages in the case are liquidated, which means that there is an identifiable, specific amount of damages, then the plaintiff can proceed to request a default judgment from the court and then proceed to judgment execution against the defaulted party, without any defenses presented by the defendant. Basically, by electing to not participate in the case, if you are the defaulted party, you are giving the plaintiff an easy path to obtaining a judgment against you. Unless there is a highly specific situation that only an attorney can advise you on, it is typically never recommended to allow for a default to be entered against you in a lawsuit. You never want to easily allow for a judgment to be entered against you, especially if you have defenses or counterclaims against the plaintiff. If you are served with a complaint, you need to consult with an attorney right away. A default is the primary example of why it is important to talk to an attorney as soon as possible when you are served with a complaint in a lawsuit. Once you are served, you only have 20 days to file an answer and raise your defenses. If you do not file the answer and defenses within the 20 day limit, that opens the door to a default being entered against you in the case. If you receive any communication stating that a party is placing you on notice that they are requesting a default to be entered against you, you need to consult with an attorney as soon as possible. A skilled litigation attorney will be able to act fast to put you in the best position to be able to prevent the default from being entered against you and preserving your defenses. The sooner you talk to an attorney, the better. If you fear that a default has been entered against you in a court case or if you have been served with a complaint, contact us today to schedule a free consultation. You will be able to talk with an attorney to see what your options are in defending the lawsuit. The consultation costs nothing, and if you decide to hire us, we may be able to help put you in the best position in defending your case. What if you were not served properly and you find out a default judgment was entered against you 20+ years later?